At the Security Analyst Summit this year in Singapore, Threatpost editor Tara Seals catches up with Joe FitzPatrick, researcher with Securing Hardware, who led a session during the conference about "A Measured Response to a Grain of Rice: An Implant in the Shell"
After a 2019 Bloomberg report alleged that a spy chip was implanted on Supermicro servers and eventually made it into the supply chain of several high-profile cloud vendors, supply chain was thrown to the forefront. (The report was strongly refuted by Supermicro, Amazon and Apple). FitzPatrick talks about what stood out to him about the report- and what didn't make sense - as well as the risks of supply chain that end users should focus on. Chris Vickery, the Director of Cyber Risk Research at UpGuard, joined the Threatpost Podcast to discuss this week's report that hundreds of millions of Facebook records were publicly exposed on the internet. Norway-based Norsk Hydro announced on Tuesday morning it was victim to a serious ransomware attack, which has forced the global aluminum producer to shut down or isolate several plants and send several more into manual mode, the company said on Tuesday morning. Threatpost talked to Phil Neray, the VP of Industrial Cybersecurity at CyberX, about how manufacturing firms can avoid a similar cyberattack that Norsk Hydro has undergone. The Threatpost team touches base at the RSA Conference this year in San Francisco to discuss breaking news from the show and their favorite topics and trends that they saw. Lindsey O'Donnell with Threatpost talked to Tom Kellermann, Chief Cybersecurity Officer at Carbon Black. Carbon Black at RSA this year unveiled a new report outlining the top attacks that financial firms are facing. According to the report, 67 percent of surveyed financial institutions have reported an increase in cyberattacks over the past 12 months. Kellermann discusses the report's findings and key takeaways. During the RSA conference this week, Lindsey O'Donnell with Threatpost talks to Raoul Strackx, post-doctoral researcher and KU Leuven. Strackx was one of the researchers who discovered the Foreshadow vulnerability in CPUs in August. He discusses the vulnerability and why speculative execution attacks will only get worse. The Threatpost team breaks down the biggest news, stories and trends they expect to hear about at RSA 2019 this year, which takes place next week in San Francisco. Lindsey O'Donnell and Tom Spring discuss the biggest news of the week ended Feb. 22, including a report about flaws in password managers that drew backlash, and a 19-year-old flaw found in WinRAR. Threatpost editors break down the biggest news from the week ended Feb. 1. Threatpost editors break down the top news from this week, including a government emergency alert regarding DNS hijacking attacks and a massive Google GDPR fine. Threatpost's Tom Spring and Lindsey O'Donnell talk about data exposure, data breaches and new vulnerabilities discovered this past week. The Emotet banking trojan has been popping up in the news for years: From widespread malspam infections of banking German targets in 2014, all the way up to the costly infection of a New Hampshire town’s computer network in July. And while the tricky Emotet malware first emerged targeting banking credentials, over the past year researchers have called out the trojan for changing its tactics – and its targets. Sig Murphy, consulting director for Western North America at Cylance, says that this evolution will continue in 2019. Human rights lawyer Robert Tibbo represented former N.S.A. contractor-turned-whistleblower Edward Snowden when he fled the United States to Hong Kong in 2013. Less publicized has been Tibbo’s work representing several families from the Hong Kong refugee community that welcomed Snowden into their homes – where he avoided unwanted attention. Threatpost talked to Leigh-Anne Galloway, the cybersecurity resilience lead of Positive Technologies, about what she sees as the top cyber trends, threats and topics in 2019. From data breaches to threat actors, listen to hear more of Galloway's predictions. Threatpost's Tom Spring sits down with Robert Tibbo, lawyer for Edward Snowden and the refugee families who hid Snowden. The refugee families located in Hong Kong that helped shelter Edward Snowden in 2013 - known as the "Snowden refugees" - are under crushing pressure to cooperate with local authorities or face deportation to their countries of origin, where they face an uncertain fate. Threatpost editor Lindsey O’Donnell talks to RiskIQ's threat researcher, Yonathan Klijnsma, about the varying groups under the Magecart umbrella, and the differing characteristics, targets and techniques of these growing number of groups. We are joined on the podcast by David Wolpoff, better known as Moose, CTO at Randori. With high profile breaches making headlines every day, and enterprises spending more on tools and solutions than ever, Moose talks about how companies can create an effective security strategy and defend themselves instead of merely throwing money at the problem. Threatpost editor Lindsey O'Donnell talks to Rapid7's Chief Data Scientist, Bob Rudis, about the threats that Magecart poses when it comes to e-commerce websites - and how this has evolved over time. This is the first in a series of three podcasts featuring an in-depth discussion of the Magecart threat group. Stay tuned for part two next week. With Thanksgiving this week and Cyber Monday right around the corner, Threatpost editors Lindsey O'Donnell and Tara Seals talk about the biggest holiday season-related cybersecurity stories of the week. When it comes to IoT security, legal action is "a matter of when not if." That's according to Ijay Palansky, an attorney in Armstrong Teasdale's Litigation practice group, represented plaintiffs and class members who alleged in the infamous 2015 Jeep hacking class-action lawsuit that the 3G “infotainment” center in those cars were vulnerable to hacking. Threatpost talked to Palansky about impending IoT legal issues and what to expect. The Threatpost editors break down this week's biggest news. A “critical water utility” has been victim of a ransomware attack, significantly impeding the service in the week after Hurricane Florence hit the East coast of the U.S.
Threatpost's Lindsey O'Donnell talks to Katherine Gronberg, who heads government affairs at ForeScout, about the incident and the level of awareness and readiness for federal organizations for these types of threats. From Google's privacy snafu to a sneaky new fake Adobe Flash updater, Threatpost's Lindsey O'Donnell and Tara Seals break down the biggest news from the week ended Oct. 12. Lindsey O'Donnell discusses Synopsys’ ninth annual Building Security in Maturity Model report (BSIMM9) released Tuesday. The report revealed an emerging new dynamic for software security professionals. Synopsys' Gary McGraw, vice president of security technology, breaks down the top takeaways from the report and what was most surprising. Threatpost's Lindsey O'Donnell and Tom Spring discuss this week's biggest news - including a breakthrough Bloomberg report that China infiltrated Supermicro motherboards, as well as a report that said that 83 percent of home and office router brands have vulnerabilities. A year later, almost 2 billion IoT devices are still vulnerable to the BlueBorne attack. Armis' VP of Product Joe Lea discusses with Threatpost. Threatpost editors Lindsey O'Donnell and Tom Spring break down the biggest news from the week ending September 7. The Threatpost team talks about the biggest news from this past week, including a Windows zero-day flaw outed on Twitter, Yahoo's email ad-targeting privacy snafu, and crashing mobile apps that leak private data. Threatpost talks to Scott Ellis with Google Cloud about issues around securing data in the cloud and accidental exposure. Security researcher Troy Mursch, of the Bad Packets Report, comes onto the Threatpost Podcast to discuss recent cryptojacking campaigns and why these types of malicious cryptomining attacks are on the rise. Bugcrowd has had a busy summer. Recently, the bug bounty company partnered with HP to launch the first-ever bug bounty program for printers, with rewards of up to $10,000 for discovered vulnerabilities. Bugcrowd also recently announced Disclose.io, an open-sourced project to standardize best practices for providing a safe harbor for security researchers within bug bounty and vulnerability disclosure programs (VDPs). Threatpost talked to Casey Ellis, Bugcrowd founder and CTO, about big trends in bug bounty programs. Las Vegas was filled with researchers, executives, and hackers last week for the Black Hat USA and DEF CON 2018 conferences. Among the most interesting topics at the shows included IoTand connected cars, election votinghacks, and a flurry of other news topics and sessions outlining the newest threats, vulnerabilities, and cybersecurity best practices. Threatpost's Lindsey O'Donnell and Tara Seals talk about their favorite parts of the show. Threatpost's Lindsey O'Donnell talks to enSilo CEO Roy Katmor about Black Hat trends to watch out for - from firmware attacks to connected car security. Threatpost editors Tom Spring, Lindsey O'Donnell and Tara Seals preview Black Hat USA and DEF CON 2018, which both kick off in Las Vegas this week. Threatpost talks to Matt Tyrer with Commvault about the recent COSCO ransomware attack. Tyrer discusses the biggest lessons learned from the incident, COSCO's response, and best practices in preventing ransomware attacks. On this week's Threatpost Podcast show, we sit down with Ronen Rabinovich from Cyberbit to discuss bitcoin mining on operational technology and critical infrastructure networks. Threatpost's Tom Spring and Lindsey O'Donnell sit down to discuss the biggest news of the week - including COSCO being hit by a ransomware attack, Adobe Flash being discussed by the U.S. government, and more Facebook drama. Threatpost's Lindsey O'Donnell talks to PAS CEO Eddie Habibi about the cybersecurity risks that large manufacturing companies face today - especially with the emergence of industrial IoT. On this week's episode of The Threatpost Podcast, editor Lindsey O'Donnell sits down with Marten Mickos, the CEO of popular bug bounty program platform HackerOne. Mickos sounds off on the opportunities - and growing pains - of bug bounty programs. Threatpost's Lindsey O'Donnell talks with Zack Allen, ZeroFOX’s manager of threat operations, about the broader social media threats landscape and the growing issue of malicious content being spread across networks like Twitter, Facebook and LinkedIn. 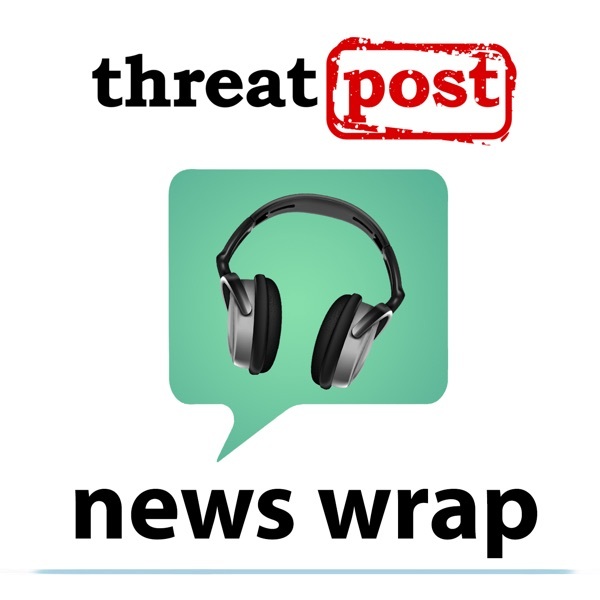 Threatpost editors Tom Spring, Tara Seals and Lindsey O’Donnell discuss the week’s information security news, including a slew of IoT device privacy incidents, a critical Adobe Flash vulnerability, and scary new data on the breadth and impact of the VPNFilter malware. The smart city industry is projected to be a 400 billion dollar market by 2020, as municipals look at applications for transportation, waste management, and law enforcement. Threatpost editors Tom Spring, Tara Seals and Lindsey O'Donnell discuss the week’s information security news, including some interesting new malware, a Linux patch that made waves, social engineering gambits and a major banking theft from the second-largest economy in Latin America. Once only seen in the market through the form of honeypots, deception technology is a quickly emerging category of cyber defense that is particularly useful when it comes to IoT devices, SCADA systems and medical devices. Threatpost talks to Tony Cole, CTO of Attivo Networks, about how deception technology has evolved, the challenges behind adoption of this method of cyber defense, and how attackers are learning to adapt. Threatpost's Lindsey O'Donnell talks with Christie Terrill, partner at Bishop Fox, about what kind of companies are looking at bug bounty programs versus conducting penetration testing, what these methods mean for vulnerability disclosures, and the legal nuances and complexities behind bug bounty programs. Threatpost's Lindsey O'Donnell talks to Jeff Wilbur, Director of the Online Trust Alliance, about the challenges that manufacturers face when securing IoT devices. Threatpost's Tom Spring talks to Roman Unuchek, senior malware analyst at Kaspersky Lab. Unuchek released his discovery at the RSA Conference this week that millions of apps leak personal identifiable information such as name, age, income and possibly even phone numbers and email addresses. The 2018 RSA Conference kicks off this week in San Francisco. The massive security conference draws more than 50,000 attendees from around the world eager to learn more about the latest threats, vulnerabilities, and security products and tools. This year's conference has more than 650 exhibitors and 550 sessions covering everything from cryptocurrency to the Internet of Things. Threatpost's Tom Spring and Lindsey O'Donnell, who will be covering the conference, talk about what they are most excited for. The fall 2016 Mirai botnet compromised more than 300,000 IoT devices to take down several websites in a massive DDoS attack. After the crippling attack, Flashpoint and Akamai worked together with law enforcement to help unravel the crime scene behind the botnet attack. Threatpost's Tom Spring sits down with Flashpoint's director of security research Allison Nixon, and Akamai's senior engineer Chad Seaman, to discuss how the two worked together and what the industry has learned in the wake of the Mirai attacks. At the Security Analyst Summit this year in Cancun, FireEye's Marina Krotofil talks about the Triton malware, first disclosed in December 2017, that targets industrial control systems. Krotofil discusses with Threatpost's Lindsey O'Donnell about the implications of this malware for the manufacturing market as a whole. With Mike Mimoso leaving Threatpost, it was high time to get many of the people responsible for the site's success throughout the years together for a podcast. Founding editors Ryan Naraine and Dennis Fisher along with Mike, Chris Brook, Brian Donohue and Christen Gentile are aboard for a memorable all-smiles podcast. Threatpost editors Mike Mimoso and Tom Spring discuss this week's information security news, including Chris Valasek and Charlie Miller's IoT security keynote in Boston, a phony WhatsApp download removed from Google Play, the recent rash of Amazon S3 data leaks and a recent Tor vulnerability. Threatpost editors Mike Mimoso and Tom Spring talk about the week's news in information and computer security starting with the ROCA factorization vulnerability affecting RSA cryptography, the KRACK Wi-Fi vulnerability, the BoundHook attacks and Google's announcement of Google Advanced Protection for Gmail. Threatpost Editor Mike Mimoso talks to Staff Writer Chris Brook who is leaving Threatpost after eight years. Chris talks about the early days of the site and how security has evolved right along with it. Costin Raiu and Juan Andres Guerrero-Saade talk to Mike Mimoso live from Virus Bulletin in Madrid about APTs leveraging one anothers' attacks and compromised machines as their own. The practice, known as fourth-party collection, is wreaking havoc for researchers with regard to attribution. Mike Mimoso and Chris Brook recap the news of the week, including the macOS Keychain attack, Signal's new private contact discovery service, the Deloitte hack, and a handful of mobile stock trading app vulnerabilities. Mike Mimoso talks to Chris Vickery of Upguard of the recent rash of Amazon S3 data leaks. Vickery uncovers of the commonalities among these leaks, some of which include AWS misconfigurations and mismanagement of third-party partner relationships. Mike Mimoso and Chris Brook recap the news of the week and look back at the Equifax saga so far. They also discuss a Google HTTPS warnings paper, cryptocurrency mining at the Pirate Bay, and bringing machine learning to passwords. Mike Mimoso and Chris Brook discuss the news of the week, including the Onliner spambot, Google's forthcoming Not Secure warnings for Chrome, the WireX botnet, Sarahah privacy and more. Mike Mimoso and Chris Brook discuss the news of the week, including all of the AWS S3 leaks, Zerodium's bounty on messaging app zero days, Ropemaker, and cobot vulnerabilities. Threatpost editors Mike Mimoso and Tom Spring discuss this week's security news, including the abuse of Chrome Extensions, Adobe's decision to end-of-life Flash Player, and a backdoor found in NetSarang's updater. Mike Mimoso and Chris Brook discuss the news of the week including the return of the Mamba ransomware, Kaspersky Lab's Q2 APT report, Bugcrowd's 250K mystery bounty, and a high schooler's $10K bug bounty from Google. Mike Mimoso and Chris Brook discuss the news of the week, including how Marcus Hutchins, aka MalwareTech was arrested in Las Vegas, Alex Stamos' Black Hat keynote, and this week's proposed IoT legislation. Threatpost editors Mike Mimoso and Tom Spring preview the annual Black Hat conference which starts July 26 in Las Vegas. Mike Mimoso and Chris Brook discuss the news of the week, including the Verizon breach, the Oracle session hijacking attack, a Telegram-based hacking tool, and a free EternalBlue scanner. Mike Mimoso and Chris Brook discuss this week's ExPetr global ransomware outbreak, how it was distributed, the wiper aspect, and similarities to 2016's Petya ransomware. Mike Mimoso and Chris Brook discuss the news of the week, including Citizen Lab's latest report, WannaCry hitting Honda, GhostHook, and Fireball. Mike Mimoso and Chris Brook discuss the news of the week, including Microsoft's XP patches, Hidden Cobra, a Nigerian BEC campaign, MacRansom, and more. Patrick Wardle of Synack and the Objective-See blog talks to Mike Mimoso about the emergence of a ransomware service targeting MacOS machines. Wardle explains why he characterizes MacRansom as “lame” and whether this could kick off a wave of copycats vying for the Apple platform. Mike Mimoso and Chris Brook discuss the news of the week, including how EternalBlue was ported to Windows 10, a Facebook phishing study, QakBot, and some of this week's Apple announcements. Mike Mimoso and Chris Brook discuss the news of the week, including the ShadowBrokers crowdfunding attempt, errors in WannaCry, a new Wikileaks dump, last week's Samba vulnerability, and the OneLogin breach. Mike Mimoso and Chris Brook recap the news of the week, including EternalRocks worm, the latest on WannaCry, a subtitle hack, and a Twitter flaw. Jaya Baloo, CISO of KPN, the Netherlands’ leading telecommunications provider, talks to Mike Mimoso about the WannaCry ransomware outbreak and how large network providers and enterprises must contend with advanced attacks. Mike Mimoso and Chris Brook discuss WannaCry, Microsoft's response, the killswitches, a potential link with Lazarus Group, and what the future holds for the ShadowBrokers. Matthew Hickey, founder of HackerHouse and @hackerfantastic on Twitter, talks to Mike Mimoso about Friday’s WannaCry ransomware outbreak, what the upcoming week bodes for businesses and the dangers of governments weaponizing attacks without sharing vulnerability information. Mike Mimoso and Chris Brook discuss the news of the week, including Tavis Ormandy's Microsoft Malware Protection Engine bug, the HP keylogger, Trump's Cybersecurity EO, and more. Mike Mimoso and Chris Brook discuss the news of the week, including the Gmail/Google Docs phishing attack, the Intel AMT vulnerability, IBM's malware-laden USB drives, and drone security. Mike Mimoso and Chris Brook recap SOURCE Boston and discuss the news of the week including DoublePulsar and the HipChat breach. Mike Mimoso and Chris Brook discuss the news of the week, including last Friday's ShadowBrokers dump, how quickly it was patched by Microsoft and Oracle, Microsoft ditching passwords, and a new car hack. Mike Mimoso, Tom Spring, and Chris Brook recap Infiltrate Conference in Miami last week, and Kaspersky Lab's Security Analyst Summit in St. Maarten. A baseband vulnerability, SIEMs, vulnerabilities in Samsung's Tizen operating system, and an IoT honeypot are discussed. Mike Mimoso and Chris Brook recap the second day of Kaspersky Lab's Security Analyst Summit, including how a Brazilian bank was compromised, a talk by Swisscom's Markus Neis, and David Jacoby and Frans Rosen's Hacking for Humanity talk. Mike Mimoso and Chris Brook recap the first day of this year's Security Analyst Summit, including Mark Dowd's memory corruption bug keynote, Thomas Rid, Daniel Moore, Juan Andres Guerrero-Saade, and Costin Raiu's Moonlight Maze talk, ATM hacking, and the Lazarus APT. Mike Mimoso and Chris Brook preview this year's Security Analyst Summit and discuss the week's news, including a Microsoft IIS zero day, a new Mirai variant, and the broadband privacy ruling. Harley Geiger, director of public policy at Rapid7, talks to Threatpost editor Mike Mimoso at RSA Conference 2017 about how policy goes hand in hand with technology when it comes to cybersecurity, the government's focus on IoT and critical infrastructure, and the role independent security research plays in the conversation. Mike Mimoso and Chris Brook discuss the news of the week, including the latest Wikileaks dump of Apple hacking tools, the LastPass vulnerabilities, and a new Android security report. Mike Mimoso talks to Duo Security co-founder and CTO Jon Oberheide at RSA Conference about Google's BeyondCorp security model, enforcing perimeter security, how endpoint security has evolved through the years, and the future of passwords. Mike Mimoso and Chris Brook discuss the news of the week, including Pwn2Own 2017, Microsoft's Patch Tuesday silence, and a nasty SAP bug. Mike Mimoso talks to Cody Pierce, director of vulnerability research and prevention with Endgame, at RSA Conference 2017 about how attackers are changing their techniques in the face of mitigation. Mike Mimoso and Chris Brook discuss the news of the week including a rash of new IP camera backdoors, James Comey's talk at Boston College, hacking back vs. active defense, and the DOJ dropping one of its Playpen cases. Mike Mimoso and Chris Brook look back at the life of Howard Schmidt then recap the news of the week, including fallout from CloudBleed, the CloudPets breach, and a quickly fixed Slack bug. Mike Mimoso talks to Luta Security's Katie Moussouris at RSA Conference 2017 about how bug bounty programs have gone mainstream, the success around Hack the Pentagon and Hack the Army, and where things stand with the Wassenaar Arrangement. Mike Mimoso and Chris Brook recap RSA and discuss the news of the week including the impact of Cloudflare's "Cloudbleed" bug, Google breaking SHA-1, and more. Mat Gangwer, CTO, and Tom Gorup, Security Operations Lead, at Rook Security talk to Mike Mimoso about the aggressive rise in online extortion and how it threatens not only data but physical safety. Cris Thomas of Tenable Networks, aka Space Rogue of the L0pht, talks to Mike Mimoso during RSA Conference about the rhetoric and hype surrounding cyberwar, as well as a quick trip down memory lane with the L0pht and its famous 1998 testimony before Congress. Mike Mimoso and Chris Brook preview RSA 2017 and discuss the previous week's news including iOS apps vulnerable to interception attacks, macro malware coming to MacOS, a new Uber open source module.